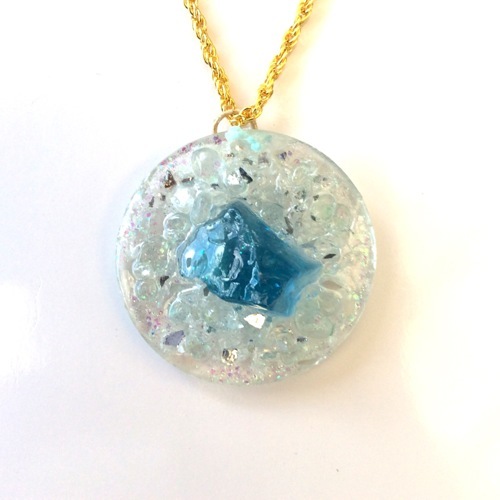 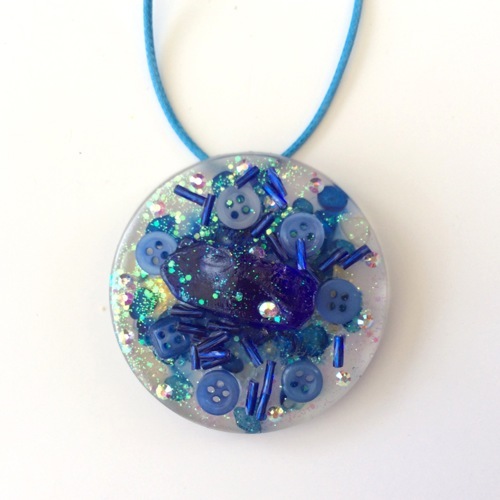 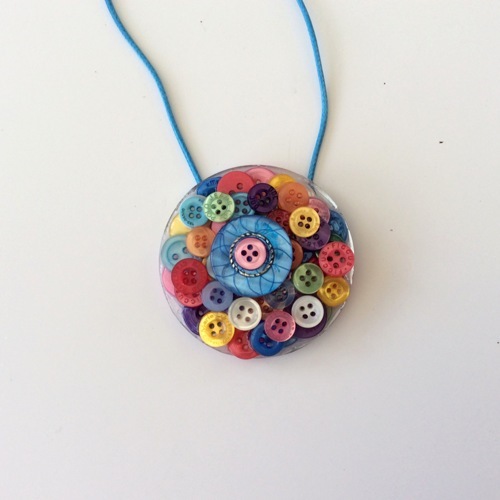 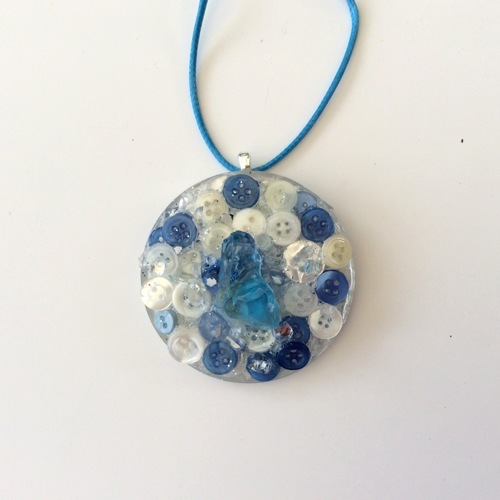 Resin pendant 5.5cm across with blue sea glass, glass beads, rhinestones and buttons embedded. 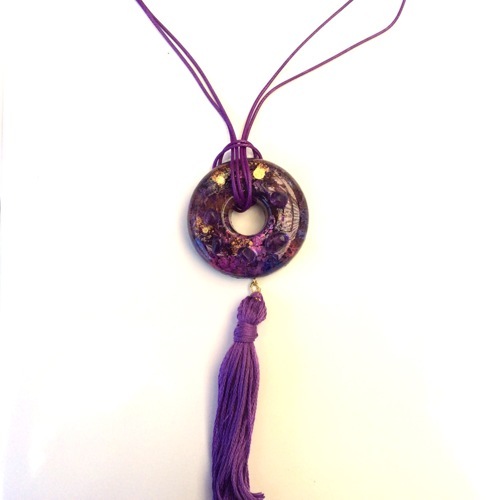 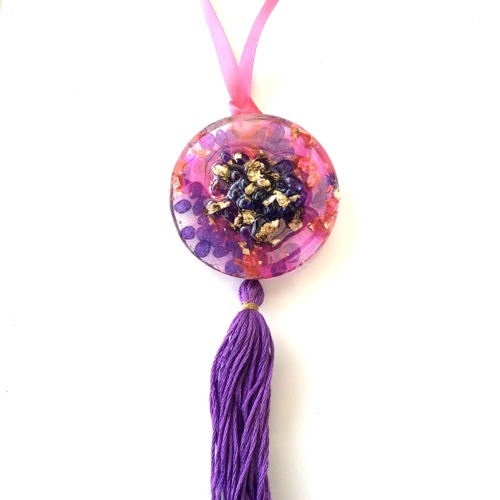 Resin pendant pink/purple with beads, gold leaf and tassel. 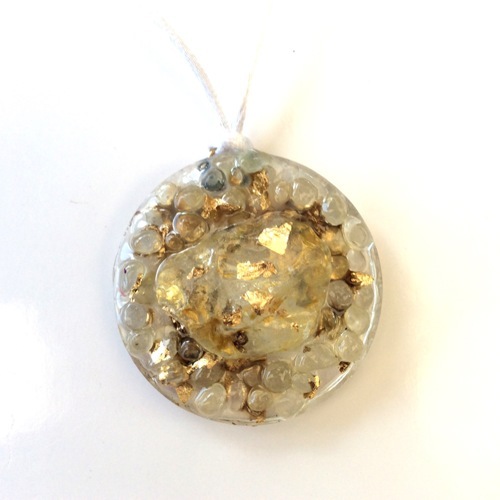 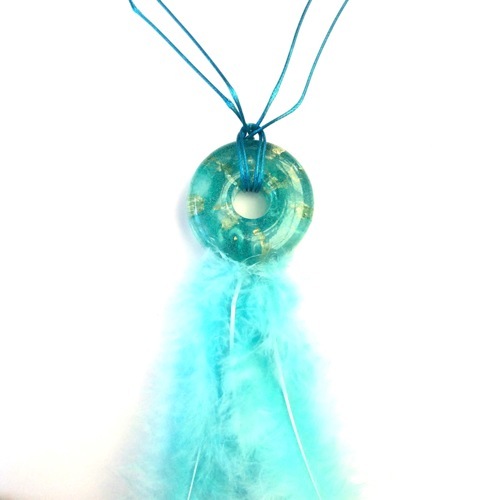 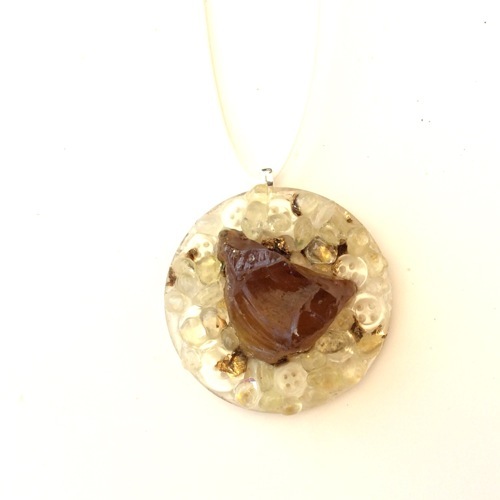 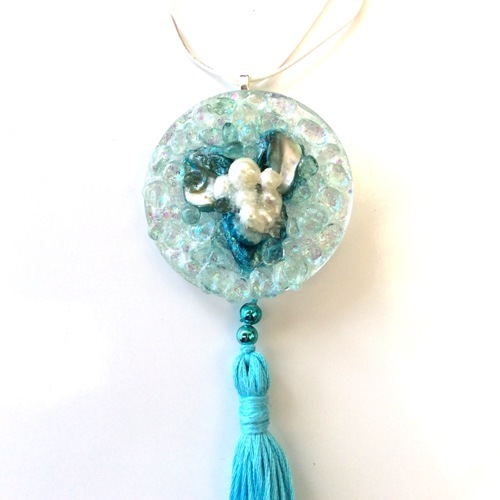 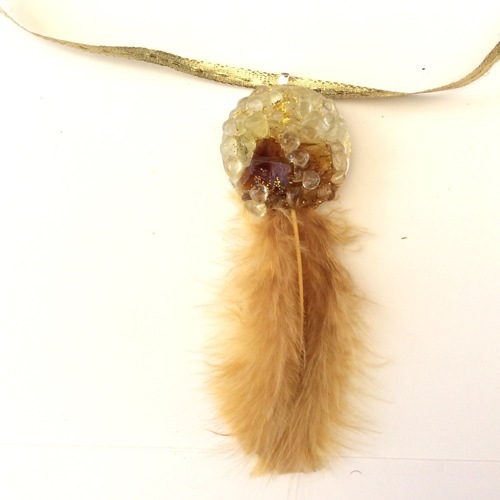 Resin pendant embedded with sea glass, beads and gold leaf with feathers. 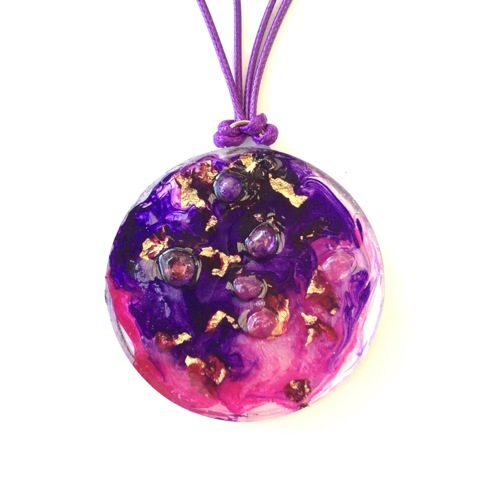 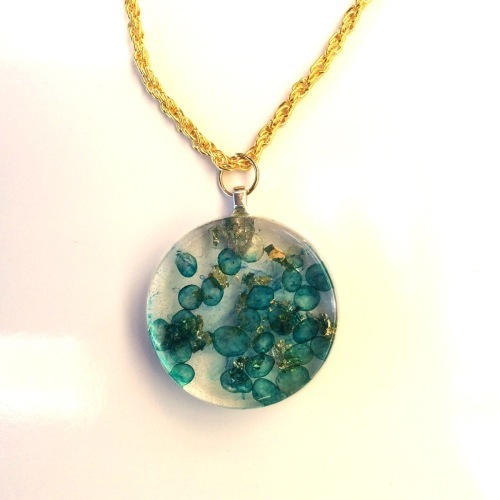 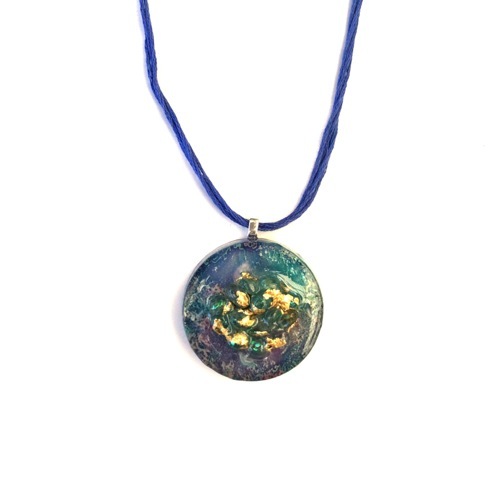 Resin pendant with glass beads and gold leaf. 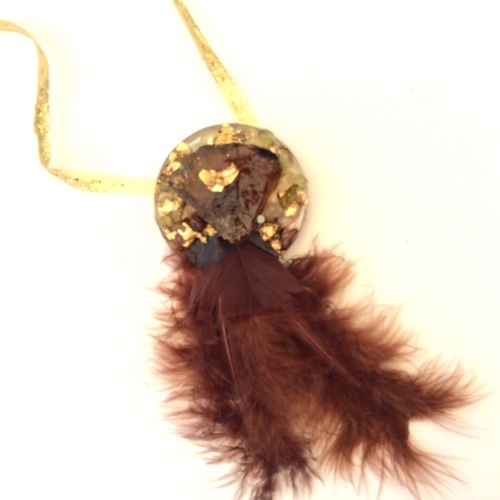 Resin pendant with gold leaf and feathers. 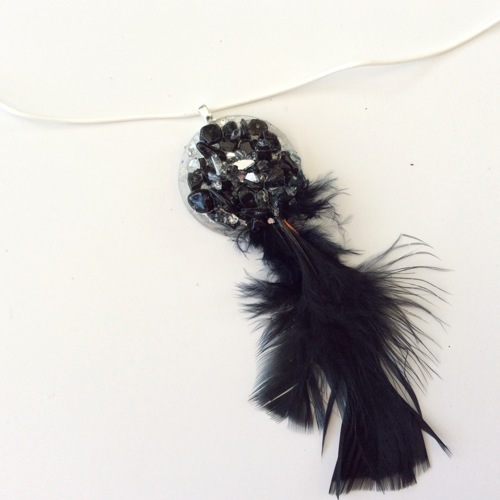 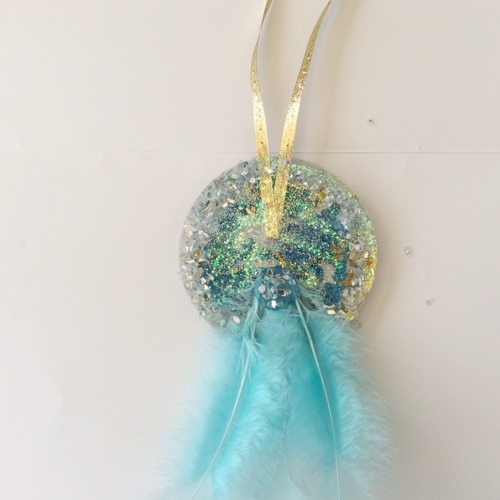 Resin imbedded with glass beads, mirror chips with feathers.